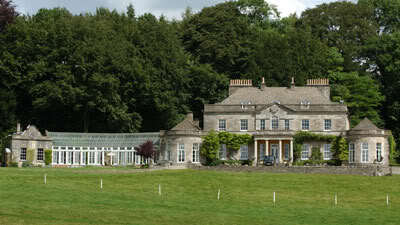 The upper house consisting of the senior nobility of the realm, as appointed by the monarch. Archons serve for life or until discharged by the sovereign. The lower house consisting of elected representatives of the citizens within a district. Praefects serve a term of five years; there is no limit to the number of terms a praefect may serve. Royal Senate is the official term used to describe what other nations might call the Cabinet, with many of the same titles and offices that were used in ancient Rome. The official duty of the Senate is to carry out the orders of the sovereign and Circle of Archons, but their status as advisors have made them highly influential. Senators are appointed from civilian families to their ministries by the sovereign with recommendations from the Circle of Archons. Minister of Foreign Affairs: (Praetor Extraterritorialis) is the senator in charge of international relations, embassies and ambassadors, and the diplomatic corps. The current Praetor Extraterritorialis is Meredith Aurelia Rhys-Jones. Minister of Domestic Affairs: (Praetor Infraterritorialis) is the senator in charge of homeland departments such as customs and immigration. The current Praetor Infraterritorialis is Martin Caratacus. Minister of Agriculture: (Consul Agrestis) is the senator in charge of crops and livestock, and heads the agricultural departments and agencies. The current Consul Agrestis is Lucius Grey. Minister of Industry: (Consul Fodis) is the senator in charge of terrestrial natural resources, including lumber, ores, and minerals, and heads the industrial departments and agencies. The current Consul Fodis is Edward Lloyd. Minister of Oceans: (Consul Maritimis) is the senator in charge of aquatic resources, including fish, and heads the maritime and environmental departments and agencies. The current Consul Maritimis is Gareth Kingston. Minister of Finance: (Quaestor) is the senator in charge of national revenues, tax collections, and government expenditures, and heads the financial departments and agencies. The current Quaestor is Devonicus Royce. Minister of Commerce: (Consul Aedilis) is the senator in charge of international trade, imports and exports, and heads the commercial departments and agencies. The current Consul Aedilis is Victoria Jenkins. Minister of Public Works: (Praetor Aedilis) is the senator in charge of public utilities, sanitation and government services, and heads the departments and agencies of public works. The current Praetor Aedilis is William Griffin. Minister of Public Safety: (Consul Tutis) is the senator in charge of national safety standards and heads the safety departments and agencies. The current Consul Tutis is Mary Thomas Davids. Minister of Justice: (Consul Iuris) is the senator in charge of the federal courts, police and corrections, and heads the justice departments and agencies. The Current Consul Iuris is George Cranston. Minister of Education: (Consul Eruditis) is the senator in charge of education, academic standards, and the preservation of traditional Welsh culture and heritage, and heads the education departments and agencies. The current Consul Eruditis is Catrina Dixon. Minister of Human Resources: (Consul Civitatis) is the senator in charge of labour, social development and civil rights, and heads the social departments and agencies. The current Consul Civitatis is Veronica Mason. Minister of Health: (Consul Salutis) is the senator in charge of health and wellness, food and drug standards, hospitals, and the Cymrean Medical Association, and heads the health departments and agencies. The current Consul Salutis is Dean Tyrell. Minister of Transport: (Consul Transportatis) is the senator in charge of roads and highways, civilian ground, air, naval transportation authorities, and heads the transportation departments and agencies. The current Consul Transportatis is Richard Smith. Minister of Defence: (Consul Legatus) is the senator in charge of national defence and military affairs, and heads the defence departments and agencies. The current Consul Legatus is Shawn Cambrius. 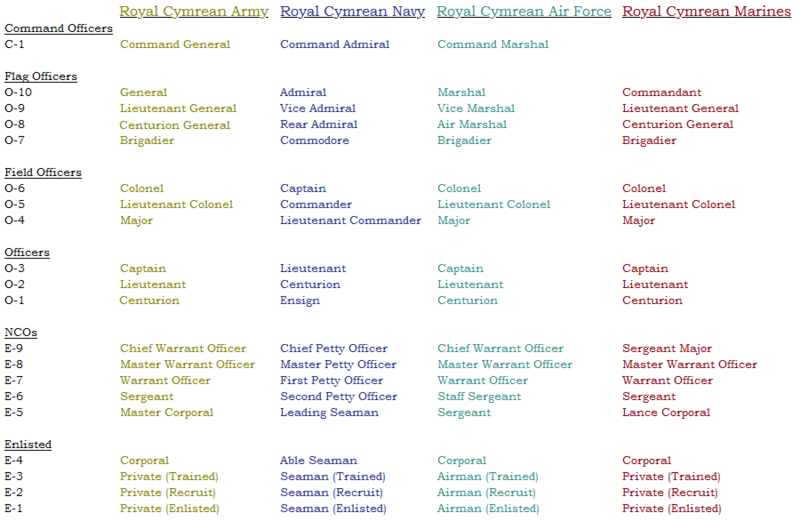 Command Officers: (Praetor Legatus) are the officers in charge of the Royal Cymrean Forces, the Command General of the Royal Cymrean Army, the Command Admiral of the Royal Cymrean Navy, and the Command Marshal of the Royal Cymrean Air Force. While technically within the purview of the Minister of Defence, the Command Officers are each accorded a voice in the Senate. 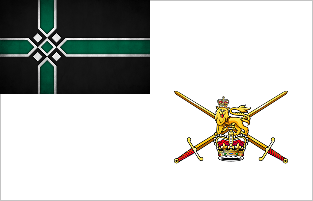 The current Praetori Legati are Command General Lord William Leonis, Command Admiral Lady Fiona Aquila, and Command Marshal Lord David Strigida. The Supreme Court of Cymrea stands at the apex of the Cymrean judicial system and consists of nine Prime Justices, appointed for life by the monarch from among the superior courts – though Prime Justices may choose to retire. Candidates must be from civilian (non-noble) families and may not hold any other remunerative office during their term. 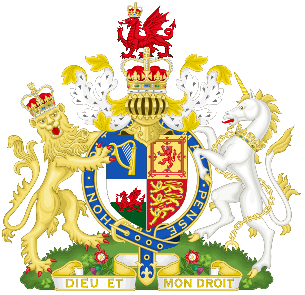 The duty of the judiciary is to advise the monarch in legal matters, to uphold Royal Cymrean Law, and to adjudicate legal matters at all levels. The newly minted office of appointed representatives of the sovereign of Cymrea to foreign nations. The RCDC reports directly to the Praetor Extraterritorialis and the Ministry of Foreign Affairs. Each ambassador is referred to as Legatus Extraterritorialis and, with his/her staff, administers the daily operations of the embassy and carries out diplomatic duties in the nation of his/her charge. A deputy to the Legatus Extraterritorialis is called Vicarius Legatus. The nation’s identity as a Welsh state of Roman influence was solidified when, in 1599, Prince Taliesin suggested the name Cymrea, a Sassenach version of Cymru, the Welsh name for Wales. The name was officially adopted November 3, 1601, and was declared the national holiday by Queen Elizabeth. Later, the name of the family line would be changed to Rosa, to reflect the Tudor rose. This incited a sweeping change of name for all noble Houses of Cymrea, who would not be left out. Native flora and fauna became symbols - and names - for the oldest Houses. 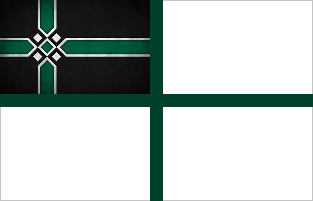 After a similar popular Druidic Movement, Ireland joined the United Kingdom of Cymrea. Cymrea played very quietly on the world stage through the next centuries, maintaining an isolationist policy that focused greatly on domestic affairs. The Age of Imperialism passed Cymrea by as the Crown remained largely uninterested in exposing itself to colonial insurgency; though this did not prevent the UKC from asserting its influence where it was deemed convenient. With an unbroken dynastic line content to advance the kingdom, Queen Rhiannon o Rosa Regina reigns over a technological and economic powerhouse ready to resume a place in global affairs. Last edited by Cymrea on Sat Jan 13, 2018 12:58 am, edited 27 times in total. Nuclear Trident: 6850 nuclear warheads of various yield, delivered by Illuminati-class ballistic missile submarines, B-7 and B-8 strategic bombers, and ground-based missile silos. Last edited by Cymrea on Mon Feb 20, 2017 3:40 am, edited 70 times in total. Last edited by Cymrea on Thu Mar 02, 2017 10:13 am, edited 16 times in total. Last edited by Cymrea on Thu Mar 02, 2017 10:13 am, edited 28 times in total. Last edited by Cymrea on Thu Mar 02, 2017 10:14 am, edited 22 times in total. Last edited by Cymrea on Thu Mar 02, 2017 10:15 am, edited 9 times in total. 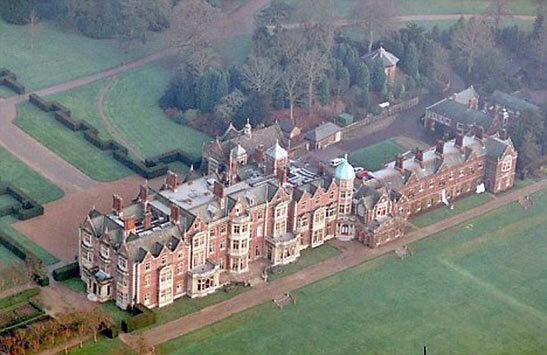 Royal Cymrean Forces Headquarters: The Octagon, Londinium, England. Last edited by Cymrea on Fri Aug 28, 2015 10:59 am, edited 10 times in total. Last edited by Cymrea on Fri Aug 28, 2015 10:58 am, edited 2 times in total. *Now in full production phase. F-37A (single seat interceptor), F-37B (two-seat fighter-bomber), and F-37C (carrier). Ministry of Defence sales are currently restricted to allied nations as of the date of this press release. Headquarters: Intelligentia Militarum Building (Dragon's Lair), Londinium. 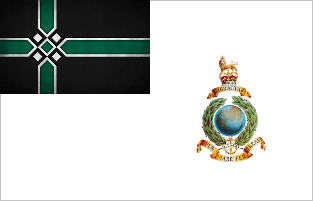 The Intelligentia Militarum (IM) is the intelligence agency which supplies the Cymrean Crown and Government with a spectrum of intelligence and conducts covert operations in defence of the Crown. The agency is divided into numbered Sections, each with its own area of responsibility. IM1: Codes and cyphers; cryptography. IM2: Information on Europe and Africa. IM4: Information on North and South America. 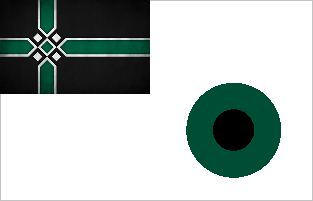 IM6: Liaison with Intelligentia Militarum and the Ministry of Foreign Affairs. IM8: Signals interception and communications security. IM10: Military security. Also known as IMX. Civilian law enforcement, each service oversee and administers the local agencies within their jurisdiction. All RCPS officers retain their full authority when off-duty and within any of the four jurisdictions. 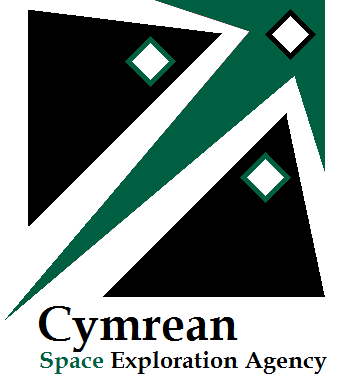 The Cymrean Space Exploration Agency is responsible for all strategic decisions on the UKC civil space programme and provide a clear, single voice for UKC space ambitions. C-SEA's mission is to reach for new heights and reveal the unknown so that what C-SEA does and learns will benefit all humankind. Designed as a lower-cost alternative to individual rocket launches and for servicing space stations, the Dawntreader is a reboot to the older, more costly, space shuttle program. Utilising newer, higher durability engines, fuels, and designs of the modern era, as well as a larger payload to allow for fewer flights and a larger payload than previous shuttles, the Dawntreader is purposed for long endurance flights, as well as powered flight to and from space, allowing for less planning and more emergent flights. C-SEA has three ODVs: ODV-1 Dawntreader, ODV-2 Excelsior, and ODV-3 Odyssey. The Dawntreader made her maiden spaceflight in early 2015, with personnel from Cymrea, Ptolemais, and Ghondra. Future planned missions will include personnel from Lenyo, Oscalantine, and the Greater Dutch Republic. Added as a secondary facet of C-SEA's Earth-to-orbit operations, the Valkyrie orbiter is a workhorse for the more routine Cymrean missions, including the regular deployment and repair of satellites. There are four orbiters in the Cymrean fleet: ODV-10 Excalibur, ODV-11 Merlin, ODV-12 Majestic, and ODV-13 Intrepid. Each orbiter has a small and large cargo module that can be changed out to maximise fuel efficiency dependent on the cargo being transported. Primarily utilised for exploration missions, the Ceres capsules are launched atop one of the Cruithne series of rockets. C-SEA currently has six capsules in its inventory, each of which are slated for lunar or Martian missions. The Cymrean naming convention for lunar missions is Leo, and Scorpio for Mars. The Cruithne line is a series of rocket-powered launch vehicles, intended as a spaceflight workhorse, designed and built by Halcyon Arms in Crown facilities. Models include the single-core Cruithne Standard, the three-core Cruithne Heavy, and the seven-core Cruithne Magnus, each featuring a final transit stage to finalize the delivery of the cargo. All engines use Liquid Oxygen and Rocket-Grade Kerosene. Each engine is controlled by three redundant computers using generic operating systems to ensure compatibility and reliability. The Cruithne line is heavily tested, and designed for maximum survivability - accepting no loses of cargo. Each core is utilizes nine Icarus engines, with the propulsion spread out over all nine giving it superb "engine out" capability; even if a rocket fails, there is still enough propulsion left over; all engines utilize the same fuel source, so a failure of one engine conserves more fuel for the others to complete the mission. These engines are deployed in an octaweb pattern, eight engines configured in a circle surrounding the ninth, ensuring even heat distribution and ease of compensation by use of a gimble, should one of the other Icarus engines fail. 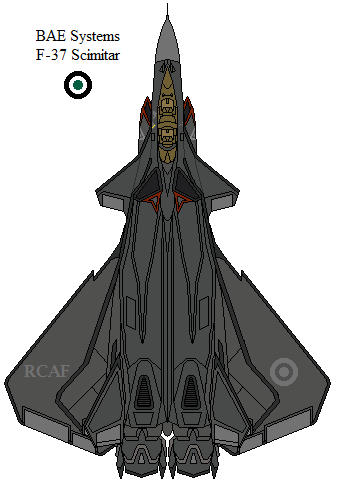 Each engine is allowed some degree of thrust-vectoring through use of a gimble, allowing the each core to guide itself without the use of fins, making the Cruithne more aerodynamic. Each stage is separated pneumatically rather than explosively to ensure safety to crew and the components. For those core-stages which do not break-up in atmospheric reentry - usually those which are discarded on the initial ascent - they are guided back to Earth, stabilized, and deploy parachutes. Before landing over ground, landing-legs are deployed to ensure the rocket-stage can be reused. Should the rocket on uneven ground or over water, airbags which double as flotation devices are deployed to ensure it's survivability. The Heavy and Magnus models use "Asparagus Staging;" outer cores - two at a time - feed fuel to the "inner" cores, separating as their fuel load is expended. While reducing gross-thrust, it also is the most efficient way of reducing weight rapidly through expenditure of fuel and dropping propulsion stages. The initial stages are sufficient propel the rocket higher into the atmosphere where subsequent stages take over and are more effective, overall with more fuel than if all stages were used at the same fuel-burn rate. This method allows the Magnus to reach orbit with it's centerline core - and often one pair of outer-cores full of fuel, allowing the Cruithne line to push heavier payloads further; the Magnus can transport a load of 44 tons to Mars, or a full 60 tons on the Moon. Last edited by Cymrea on Tue Mar 14, 2017 9:07 am, edited 15 times in total. 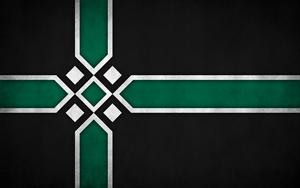 Alliance: Strong diplomatic relations, a close bond of peace and cooperation, open borders, and free trade. Cymrea actively defends allies. Peace: Good diplomatic relations, non-interference in foreign affairs, and potential free trade. Cordial: Fair diplomatic relations with a policy of non-interference with foreign affairs. Strained: Poor diplomatic relations, closed borders, and limited trade. Possibility of foreign action. Hostile: Limited diplomatic relations, if any; closed border and trade embargo. Foreign action likely. War: No diplomatic relations, closed borders, trade embargo, and active hostility. Defense Condition: There are five levels of DEFCON, indicating global conditions from peacetime to poly-lateral nuclear attack. DEFCON 5: Peacetime; All Clear. Last edited by Cymrea on Sun Apr 02, 2017 1:08 pm, edited 6 times in total. Druidism is a less a religion than it is a communal spiritual connection to the natural world. Central to the faith is the idea that all things are interconnected; the seasons, the life cycles of humanity and the world around them, and the apparent order of all things. The belief that all things have their own spirit, similar to Shintoism, and the exploration of the natural order through the scientific method are mutually inclusive. Celebrations and observances include the solstices and equinoxes of the sun cycle, the lunar patterns, the sowing and the harvest. Balance and karma are also strong concepts in Cymrean Druidism. In addition to the natural spirits are a pantheon of semi-deities - more like heroes and champions of legend and myth that are venerated, and whose interventions are often sought. These include Dadga, the All-Father and chief amongst Cymrean heroes; Tyr, greatest of warriors and champion of courage; Atalanta, the legendary ancient naval commander and hero of the seas; Morgana, the lady of death; and Wyrd, the champion of fate and chance. These icons represent certain facets of the world and provide a source of potential providence. As they are - purportedly - based on real Cymreans that once lived, they aren't worshipped as gods, per se. The collective term for the ministers of the druidic faith is called the Circle of Druids or Druidic Circle. The eldest and wisest of all the druids, head of the druidic faith. The Great Druid is leader of the Circle of Druids and wears robes of white, belted in white. Exceptionally learned and wise, each archdruid oversees all druids within his jurisdiction, usually at the county level. Archdruids are members of the Circle of Druids and wear robes of black, belted in white. The most skilled in their particular vocation, the High Druid is a leader of one of the nine druidic orders. High Druids are members of the Circle of Druids. High Druids wear robes of green and black, belted in the colour of their order. A full cleric of the druidic faith. Only a caen who has completed the full nine years of training may be ordained. Upon being ordained, druids choose the order that he they will join. Presumably, their choice is made after long and careful consideration, during which time a vocation calls to them. Druids wear robes of green and grey, belted in the colour of their order. An acolyte of the druidic faith. Only a dendrite who has completed the full nine years of training may petition to become a caen. Caens wear robes of grey, belted in white. An initiate of the druidic faith. Any child of nine years may choose to become a dendrite, entering into training with a druid. Dendrites wear robes of pale green belted in white. Druids of this order are most learned in botany and skilled in the healing arts, serving as healers in their communities. Ashes wear belts of grey. Druids of this order are most skilled in combat and serve as fervent defenders of the druidic faith and of the Kingdom. Blackthorns wear belts of black. Druids of this order are most learned of agricultural matters, advising local farmers and nobles on such matters. Cedars wear belts of orange. Druids of this order are most skilled in observation, investigation, deduction, and justice, often serving as agents for the imperator in assisting the local sheriffs. Elms wear belts of golden yellow – unless they are working covertly, in which case they may wear the belt of another order. Druids of this order are most learned in matters of spirituality and philosophy, often serving as magisters at Cymrean universities. Hazels wear belts of brown. Druids of this order are most learned in funerary matters and skilled in the preparation of the dead for passage to the next life. Hollys wear belts of red. Druids of this order are most skilled in diplomacy and politics, often serving as political advisors to the Crown and Circle of Archons. Oaks wear belts of green. Druids of this order are most learned in divine matters and skilled in astronomy and runes, serving as forecasters of weather and events, and conduits to the other world. Rowans wear belts of purple. Druids of this order are most learned in matters of history and tradition, and skilled in playing musical instruments and bardry. Willows wear belts of blue. Last edited by Cymrea on Thu Dec 22, 2016 7:18 am, edited 7 times in total. 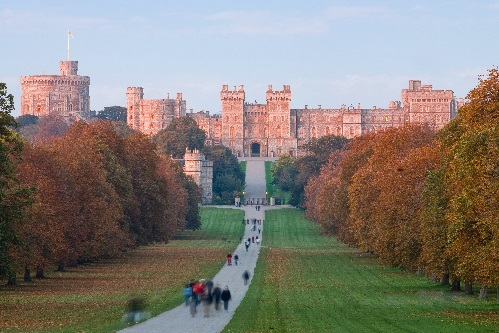 Windsor Castle - Windsor, Berkshire, England: Official country residence (Most weekends; a month over Easter; a week in June for Royal Ascot and the service of the Order of the Garter); and Christmas. 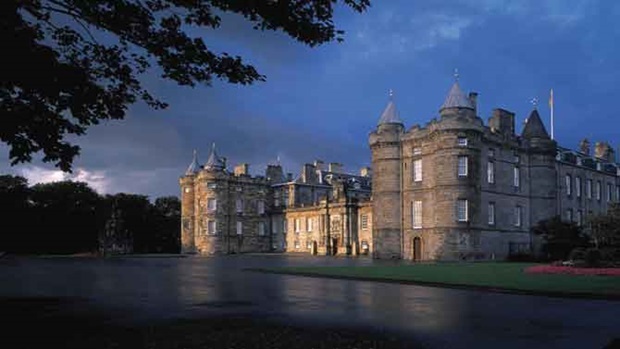 Palace of Holyroodhouse - Edinburgh, Scotland: Official Scottish residence (Whenever the Royal Family undertake official duties in Scotland: primarily Holyrood week in July). Hillsborough Castle - County Down, Northern Ireland: Official residence in Northern Ireland (whenever the Royal Family undertake official duties in Northern Ireland). 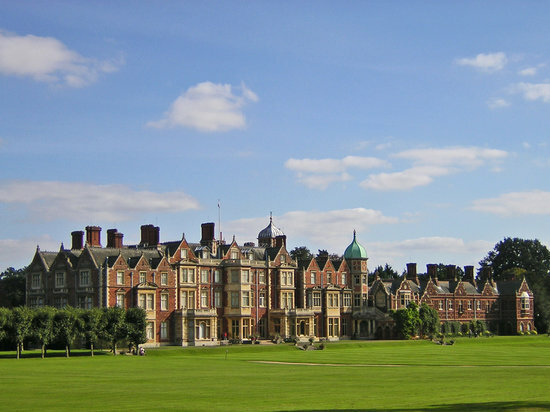 Sandringham House - Sandringham, Norfolk, England: Christmas until February. 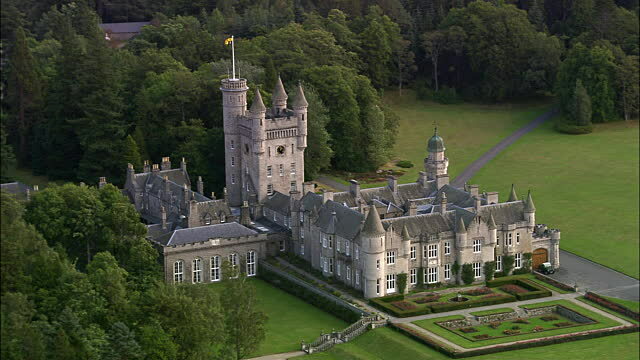 Balmoral Castle - Aberdeenshire, Scotland: August and September. 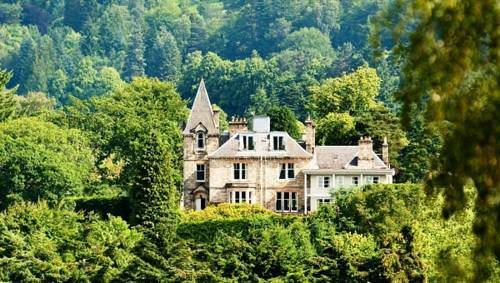 Delnadamph Lodge - Balmoral, Aberdeenshire: Being rebuilt for the Prince of Wales and the Duchess of Cornwall; located on the estate of Balmoral Castle. 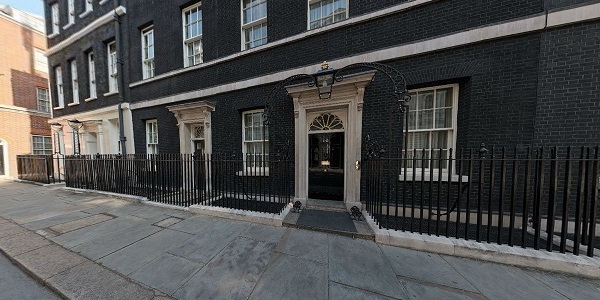 10 Downing Street, Westminster, Londinium. Last edited by Cymrea on Tue Feb 28, 2017 7:38 am, edited 10 times in total. A leading military research and development company. 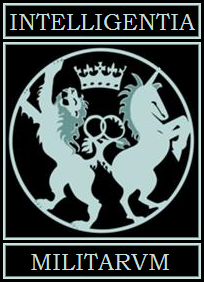 The central bank of the United Kingdom of Cymrea. Last edited by Cymrea on Tue Jan 19, 2016 9:07 am, edited 5 times in total. In the course of my roleplaying, I have made a few posts that my esteemed thread-mates have found provocative. I've decided to chronicle some of their OOC responses (oddly similar) here, rather than shoehorn them into my signature. If this post gets a bit lengthy, I will add a spoiler tag! Bolovia wrote: Cymrea you sonuvabitch what have you done? Ghondra wrote: WTF CYMMIE! Well Jordie's gonna be pissed. Last edited by Cymrea on Mon Mar 07, 2016 2:15 pm, edited 4 times in total.